Congratulations on the Uncle Jack watches. I will be in contact with you both via email to get delivery details. Thank you to everyone that entered and stay tuned for my competitions coming. 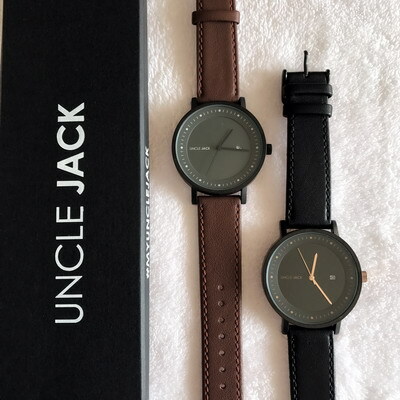 Would you like to WIN one of two Uncle Jack Watches valued at $120 each for your special Dad this Father’s Day? Or are you a Father and want to win one of these stylish watches for yourself? ** Comment below on which fabulous watch you would like to win and why you deserve to win one. Competition is open to Victorian Residents only and commences Friday 11th August and closes Friday 25th August. Winner will be notified on Saturday 26th August 2017 via email and on the website. Good Luck. This competition is brought to you in collaboration with Uncle Jack Watches and Christine King Photography, Travel, Lifestyle. Please Join the VIP Waiting List & get early access to the launch! 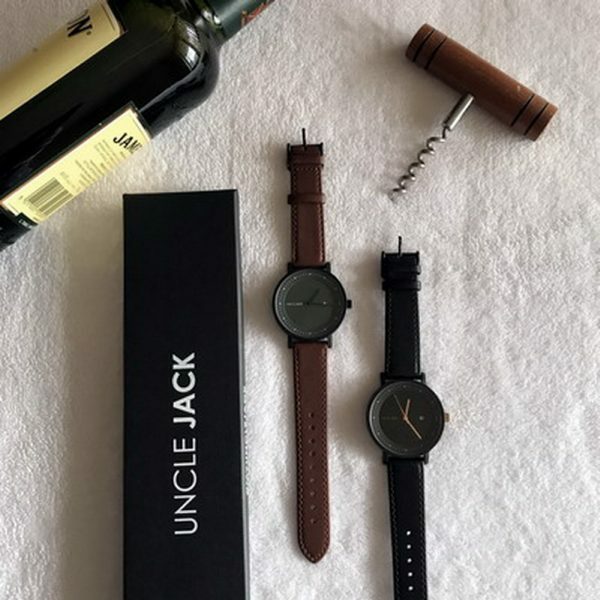 The Uncle Jack last release of watches sold out in less than 24 hours! Join the waiting list below & you’ll receive early access to the launch to secure yours before the general public. The Launch date is Monday the 28th August 2017 at 6pm. You will also go in the running to win an Uncle Jack Watch Box & any watch of your choice from the new range. The Black and Gold Watch is perfect for my well deserving hubbie. He is always on the go so an Uncle Jack's watch would do the trick to keep him on time! What an awesome prize. Love the Watches. I would love the Brown & Black as i love to collect watches. i would also love to one day pass this collection from Father to so Son so that he can have something to remember me from as well as possibly continue the tradition of collection watches. I love the brown black watch for my amazing dad. Black and Gold all the way. Looks sleek as. 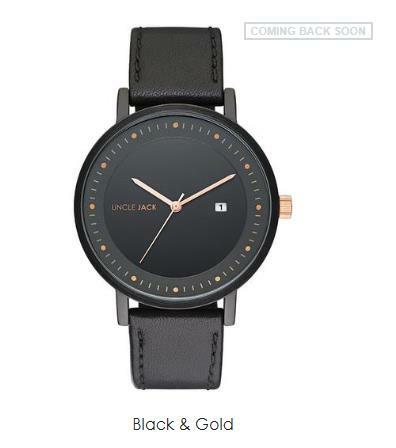 Not only would my aging Father look modern in the Black & Brown Uncle Jack's watch but it would help him keep to time with his increasing number of medical appointments! I would like to win the black and gold for myself. It's very trendy. Would love this for my husband. Love either of them. My father in law is so deserving of this stylish watch. He does so much for us and I would love to give him something that he would love. Brown Black is very beautiful. My dad would love this. I LOVE the brown black for my hubby for Fathers Day. Thanks for the competition. Oh WOW the black and gold is beautiful. I love it. My amazing husband would love one of these for Fathers Day. He would adore the brown one. Thanks or this opportunity. Can I win this for myself? I love the black gold. My little one is looking for something stylish for Dad. This looks like the perfect gift. Super stylish. Maybe one for me and one for my amazing father. I'm putting my own hand up for this dope prize. Either look amazing. The black gold would be perfect for my husband this Fathers Day. The brown is gorgeous. My man would love it. They are both so stylish but I love the black gold. I am deserving to win an Uncle Jack watch because I found a good egg and married him! Then we had two beautiful children. 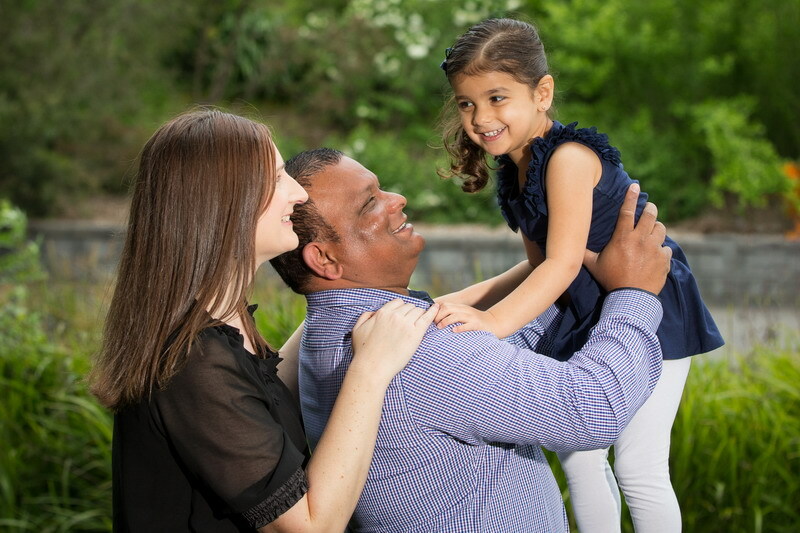 Hubby loves nothing more than heading to the park to show off his skills on the monkey bars, the flying fox and to take a glide down the slide, having fun with our kids. 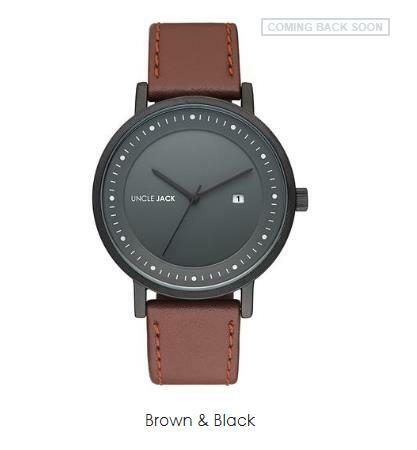 The brown and black watch design would be the perfect match for this nature loving guy who brings love and fun to our lives.